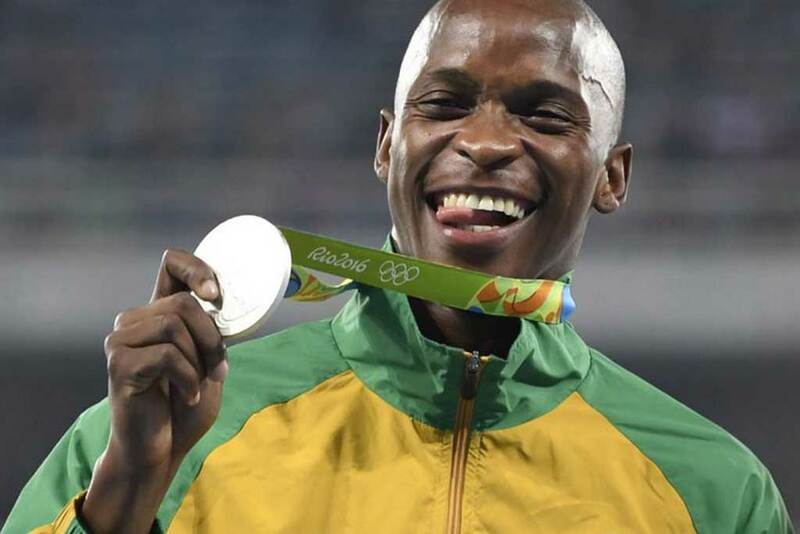 In 2010, Luvo was a promising junior athlete from Mmbekweni, a township outside of Paarl in the Western Cape. 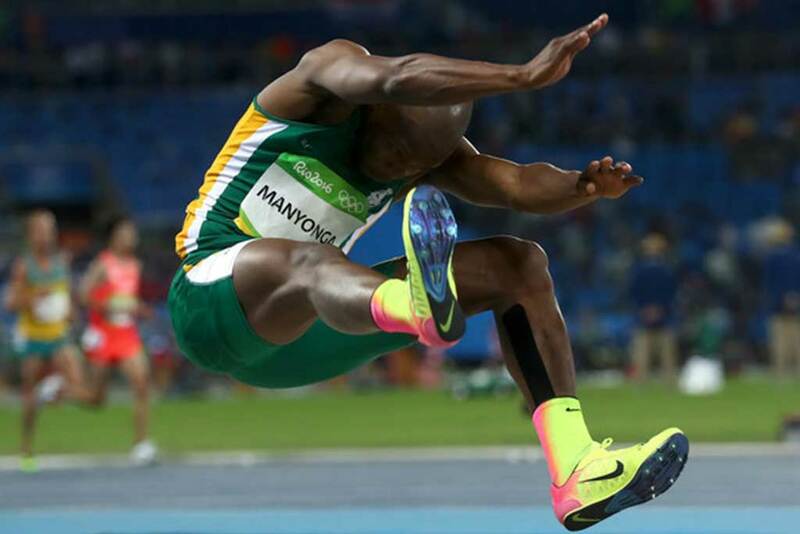 He competed in long jump at the World Junior Championships, which he subsequently won. He returned home to township life, but it wasn’t easy. Despite this, he competed the following year at the Senior Championships held in South Korea where he finished in 5th position, supported by his admirable coach Mario Smith. After winning a large amount of money from this event, he was sadly overcome by the dark influence of Crystal Meth (street name Tik). He spent his money on Tik and back in the township, he was surrounded by a community of fellow addicts. It was at this point that Luvo’s life began to spiral completely out of control. His caring mother desperately tried everything she could to help him with his addiction but with little support or resources, she remained helpless. Things deteriorated further when in 2012, Luvo tested positive for Tik and was dealt an 18th month ban from sport. Mario Smith continued to see potential in Luvo but due to the ban, he was not able to train him formally. His addiction kept interfering with his training regime and their time spent together started to diminish and their relationship was slowly losing ground. Looking after him became a full time job and I couldn’t afford to let him out of my sight. He was still stuck in his struggle to rehabilitate and kept having setbacks trying desperately to break free from the demons of his addiction. I did everything in my power to keep him away from Mmbekewni and access to Tik. His friends were literally dying from addiction and related issues. It became clear that there was an urgency to get him on track and away from these destructive forces. From the time we spent together, I knew this is what he didn’t want for his life. I wanted him to be reunited with his estranged coach, Mario. 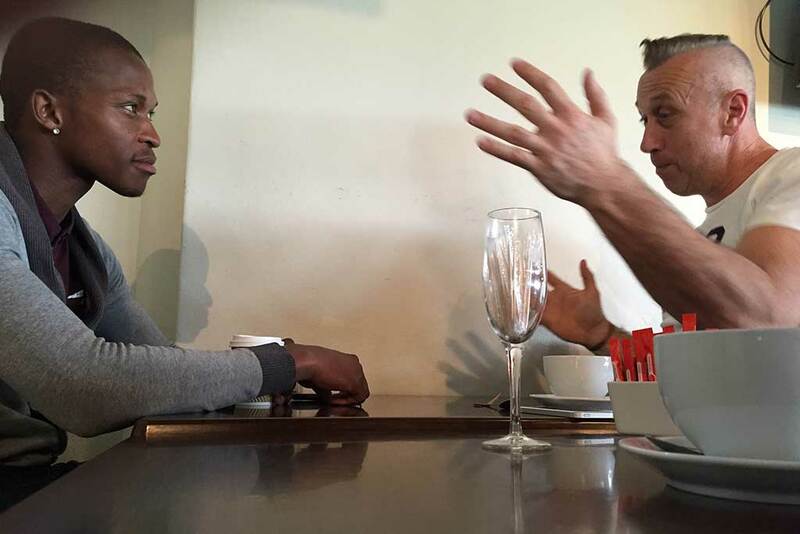 I set up a meeting between Ryk Neethling (South African Olympic Gold Medal winner), Mario and Luvo and we made plans for the upcoming Commonwealth Games in Glasgow. He needed a goal to aim for so that he could find the motivation to change his life. A qualification for the Commonwealth Games would’ve switched course for him dramatically. In 2014, however, Luvo’s trainer, Mario died tragically in a car accident which brought any investment of training in Luvo to a grinding halt. He was heartbroken and most susceptible to relapse. It was on the way to Mario’s funeral that Luvo, distracted by his Tik addicted friends, missed his train and never went to the funeral. This is something that still weighs heavily on him yet was not enough to jolt him out of the addiction that held him so firmly in a grip. It seemed Luvo himself was now looking death straight in the eye. The plan all along was to get Luvo fit and back into his original athletic state and so I slowly rebuilt Luvo with a Spartan training regime. 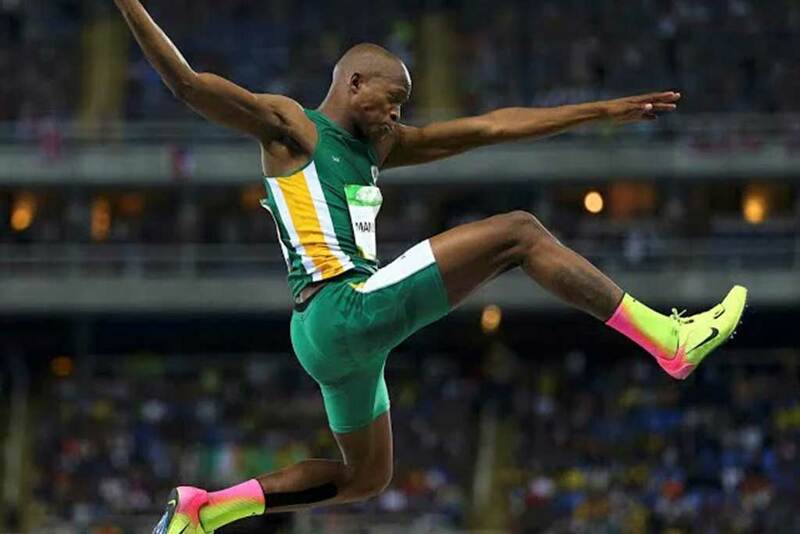 Long jump was not my forte but with my experience as a strength and conditioning coach I focused on explosive work, strengthening his core and his thighs and helping him to increase the speed with which he approached the plate before lifting off. I also focused on rebuilding his confidence and his mental strength. Despite the tragedy in his life at that time, Luvo was now ready to enter a local championship without a true long jump coach at this side. 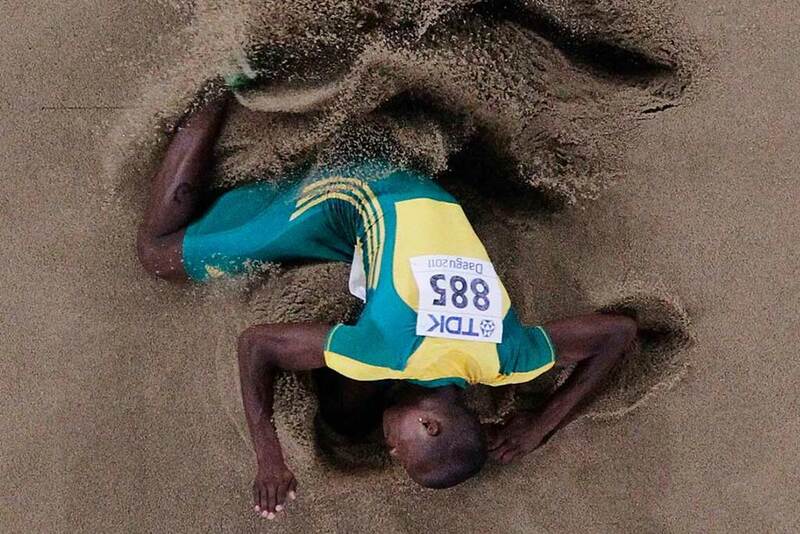 Despite this he finished in 1st position and also qualified for the Commonwealth Championships! A massive feat. Somehow in the processing of Luvo’s qualification, his paperwork went missing and over and above this he was still viewed through the lens of his addiction and previous relapses. It was for this reason that he lost his qualification and was not able to attend the Commonwealth Championships in Glasgow. 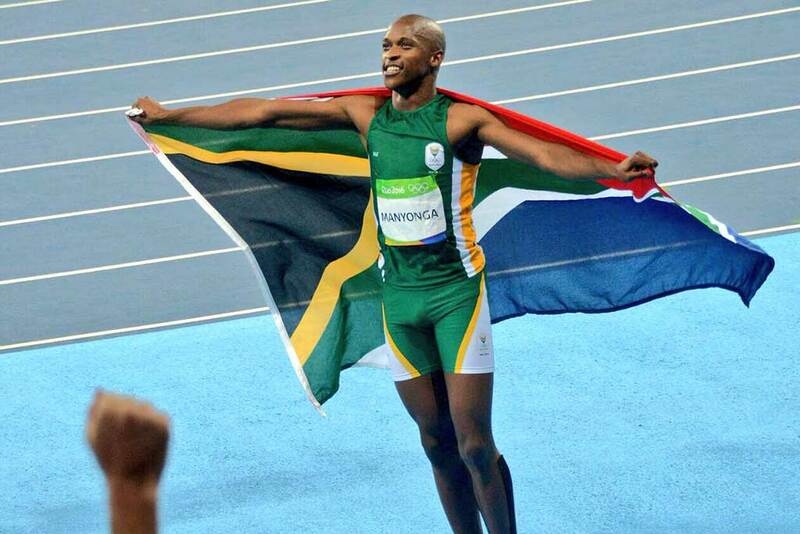 Times were tough – we needed the Commonwealth Championship as leverage for his South African sporting career. I approached various sporting retail companies and institutes for funding for Luvo but he was not able to secure as little as a pair of training shoes for him. This left him and I in an overwhelming position. We were stuck with no clear path ahead. It was then that Newspaper journalist Luke Alfred wrote an article called “The Impossibility of Loving Luvo” for the Mail and Guardian, disclosing to the public Luvo’s struggle with Tik and the possibility that things would go one way or the other for him – he’d either be standing on an Olympic podium, or he’d be dead from an overdose by the time he’s 30. As a result of the article, Luvo and I were called to Parliament for a 2-hour meeting with the Sports Committee. 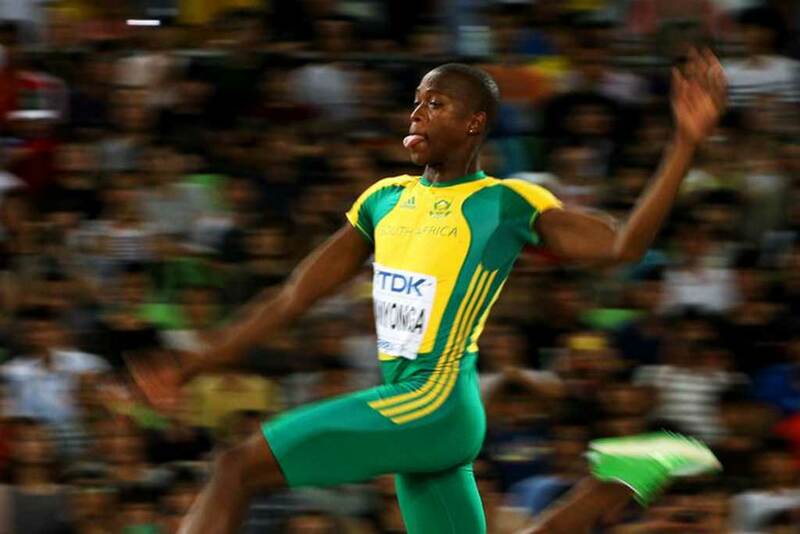 We managed to persuade the Committee that if given the correct sports support and systems in the right environment, Luvo could become the greatest long jumper in the world. 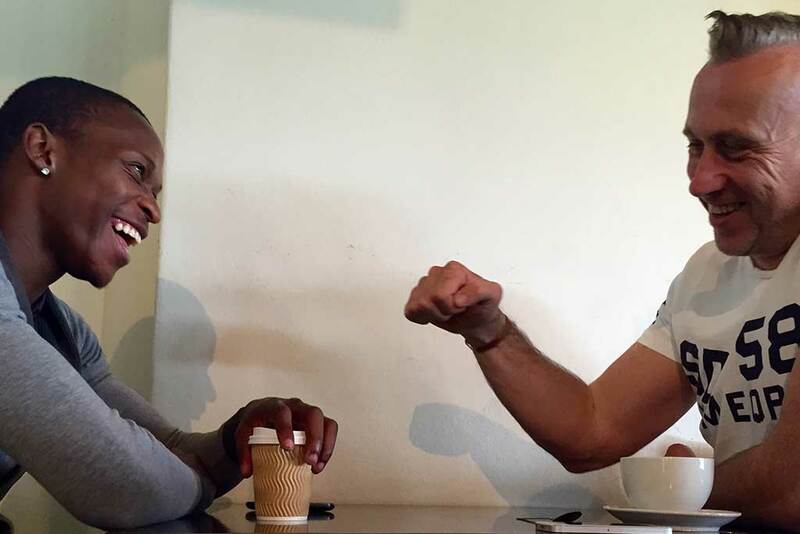 With the understanding that Luvo was potentially on his way up again, Ryk Neethling and I trained with Luvo and put him through a rigorous, intense and brutal training regime which firestormed Luvo’s return to confidence, fitness, strength and mental toughness. 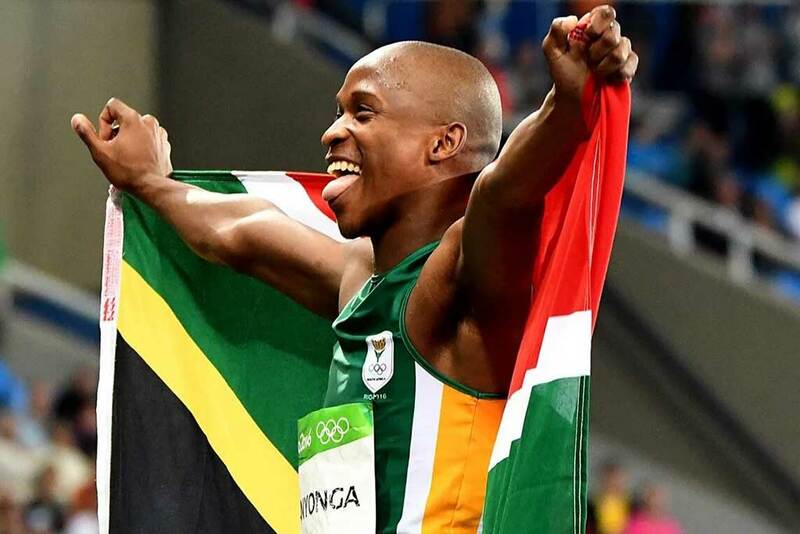 It was soon after that, in 2015, that SASCOC, with the support of SASCOC’s President, Gideon Sam, granted Luvo a scholarship to study at the University of Pretoria. 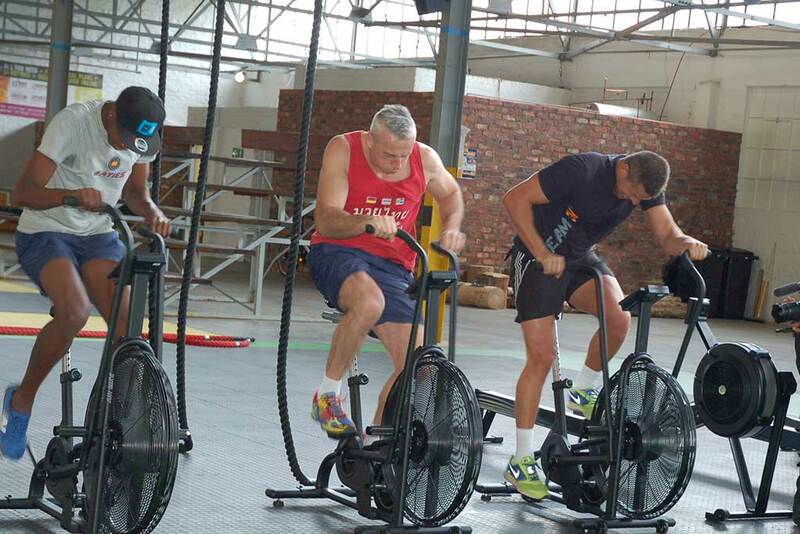 He was under the watchful eye and guidance of Toby Sutcliff, the CEO of the university’s High Performance Centre. 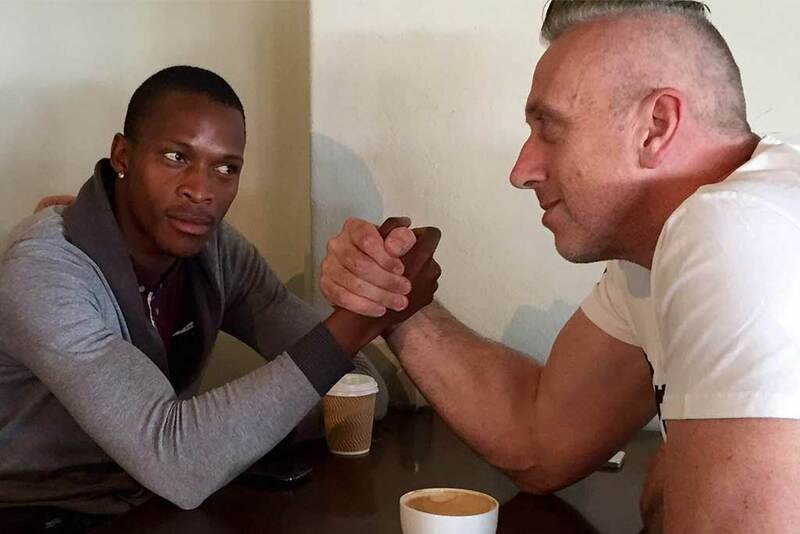 I still visited Luvo regularly in Pretoria to keep tabs on his progress, keeping checks on his training and continued to work with him as a life coach. 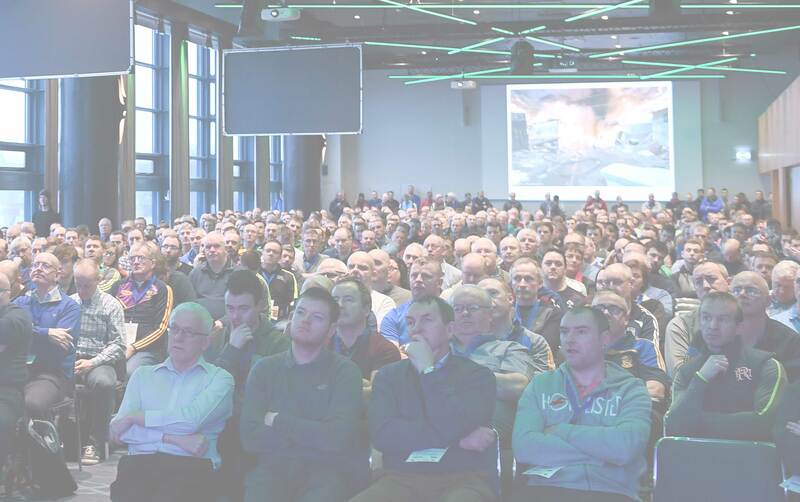 Along with Neil Cornelius and other brilliant people, Luvo was well supported and they worked to build on the technical specialities required of the sport. 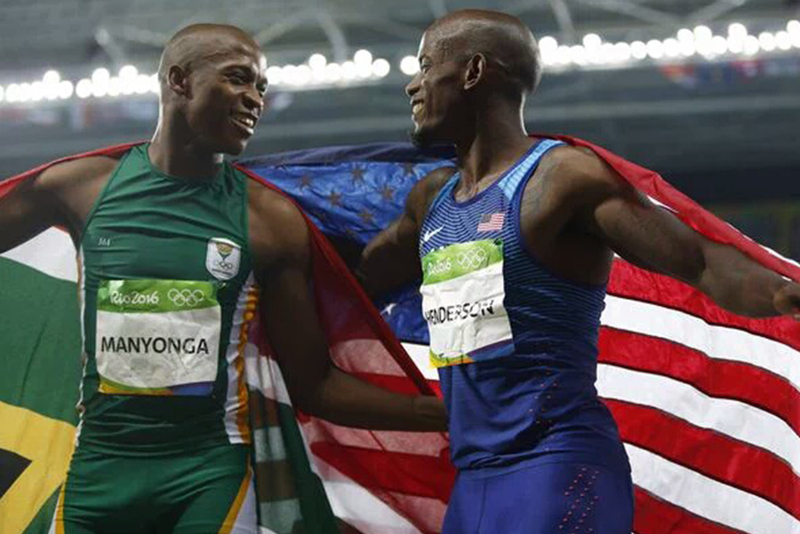 Toby and Neil deserve respect and recognition for Luvo’s reclamation of fame and dignity and for helping him qualify for the 2016 Rio Olympics. 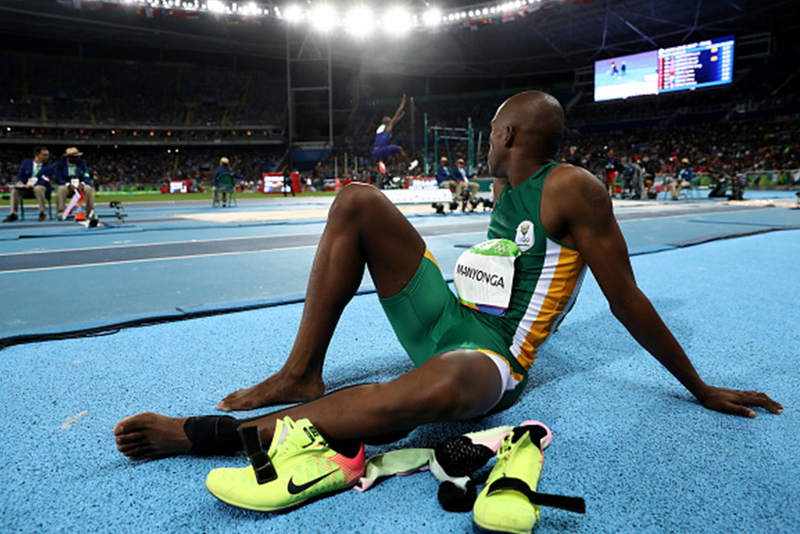 The secret to taking the pressure off was that I needed Luvo to think of himself as the rockstar of the long jump event and Rio was going to be his stage. When rock stars perform, they have fun – that was the basis of his mental approach. In Rio, he finished 5th overall in the qualifying group and made his way to the final 12. From our conversations, he always believed that regardless of what happened, that there always one big jump in him. After three no jumps, the pressure was on and Luvo pulled out his biggest jump of his career – at the right place and the right time. He took silver on the 14th of August 2016. I am bursting with pride for his achievements and happy that I could play a role in unlocking the genius within this talented human being. I wish him continued success and strength to stay the course. 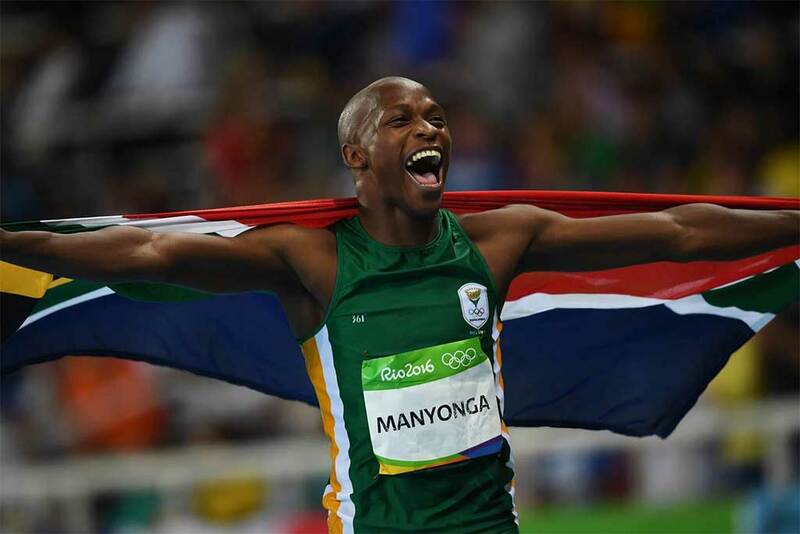 When I last met long jumper Luvo Manyonga a little over a year ago, he was half-heartedly weaving together the strands of a badly fraying life. Domestic existence was ropey and his coach had just died in a car accident; tik was cutting a swath through Mbekweni, the township outside Paarl in which he lived, and he was watching buddies fall like skittles – victims of the endemic gun crime that lubricates the drug wars over turf and market share.